In the late '60s, many jazz artists were ignoring the rock and soul hits of the day – when called upon to interpret popular songs, they stuck to their favorite Cole Porter, George Gershwin, and Irving Berlin standards and didn't see Beatles or Marvin Gaye hits as vehicles for jazz improvisation. But there were some jazz artists who didn't feel that way; Grant Green, Herbie Mann, and Charles Earland – just to give three examples – saw no reason why rock and soul tunes couldn't receive instrumental jazz makeovers. And on 1969, Gazor Szabo puts a jazz spin on popular songs of the 1960s, including "Walk Away Renee" (a major hit for the Left Banke), the Beatles' "In My Life," and Joni Mitchell's "Both Sides Now." Again, there were many jazz artists who wouldn't have touched these songs in 1969 – they would have insisted on providing yet another version of "Our Love Is Here to Stay" or "My Funny Valentine." 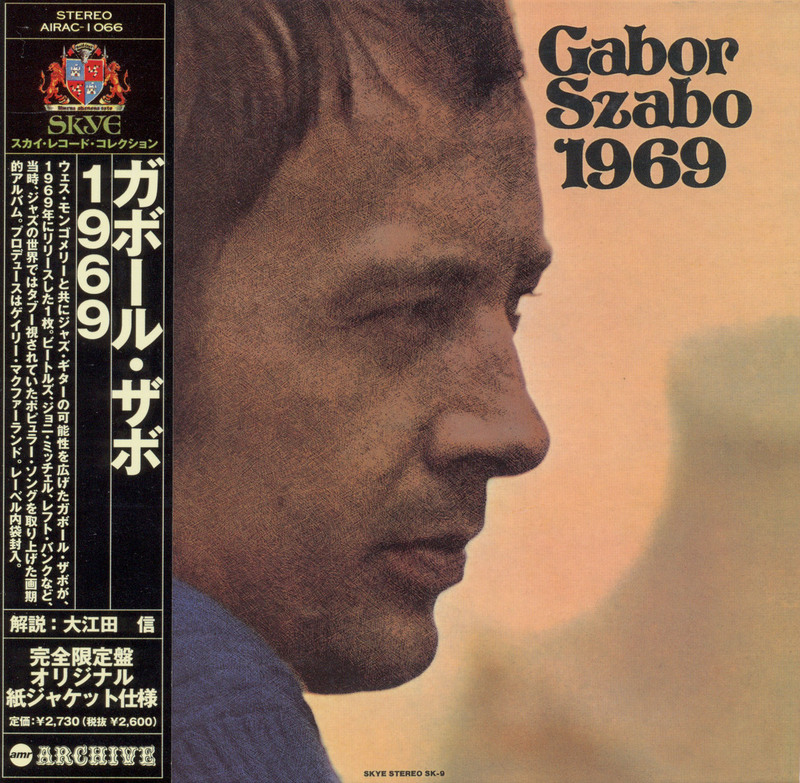 But Szabo acknowledges that worthwhile popular music didn't die with George Gershwin. 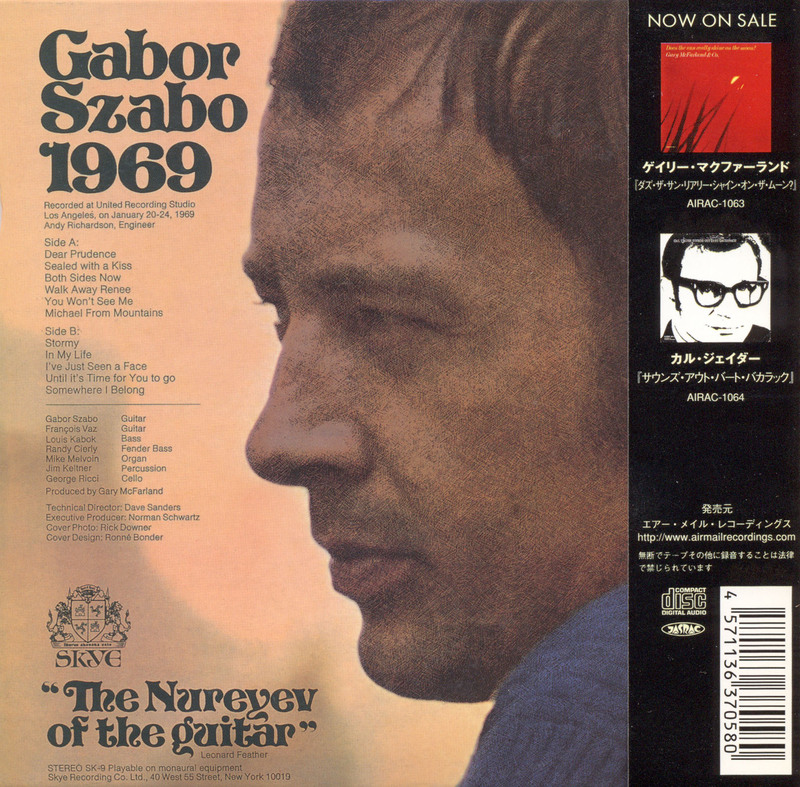 The Hungarian guitarist doesn't always stretch out as much as he could on this album; at times, he ends a solo that probably should have lasted a few more minutes. But Szabo still deserves credit for bringing a jazz perspective to songs that so many other improvisers were ignoring. Produced by Gary McFarland, this 1969 date originally came out on vinyl and was finally reissued on CD in 1998. I became interested in Gabor Szabo many years ago after following his releases in Downbeat magazine. 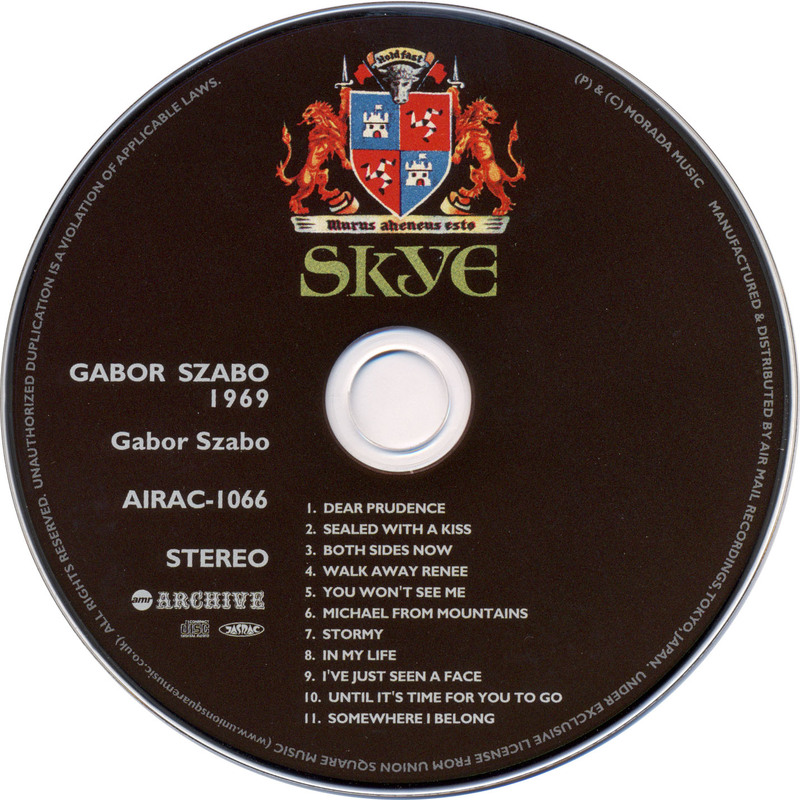 Szabo always had an interesting and unique technique that was suffused with a pleasant tone. He could play funky when he desired, but here he decided to create an atmosphere somewhat akin to a trance state or sleep-walking. The tracks on this release are not hard-edged jazzy improvisations. They could have easily been accepted by devotees of easy listening fare. This might not please hard-core jazz listeners. But, that was not the intention here. The album consists of 1960s tunes accompanied by guitarist Francois Vaz, bass, subdued organ, drums and cello. Essentially, each song is a guitar duo with backing instrumentation and it works very well unless your jazz instincts are cutting edge. The improvisations are succinct and the touch is light. About the only potentially funky song on the CD is their version of the Classics IV hit, Stormy. So, if you want to induce a lull in your nervous system, this CD is adequate musical medicine. Recommended for the undemanding listener who just wants to relax with a glass of wine. [CTDB TOCID: lNEv1Ie6WWpPjDIr0ym3tZ82KHY-] disk not present in database. [AccurateRip ID: 000e2888-007c7a4e-9408680b] disk not present in database.